IIT Gandhinagar is looking for bright and dedicated young scholars interested in research to join us as Ph.D. scholars. Currently, we offer Ph.D. programmes in Biological Engineering, Chemical Engineering, Chemistry, Civil Engineering, Cognitive Science, Computer Science and Engineering, Earth Sciences, Electrical Engineering, History, Language & Literature, Materials Science and Engineering, Mathematics, Mechanical Engineering, Philosophy, Physics, Political Science, Psychology, Social Epidemiology and Sociology. Prospective students satisfying the eligibility criteria are encouraged to acquaint themselves with the research areas of our faculty members for suitable match of interest. 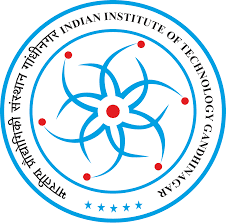 IIT Gandhinagar also offers a Start Early Ph.D. Fellowship with additional financial support for exceptionally qualified undergraduate students from select colleges wishing to start on a direct Ph.D. programme after B.Tech. IIT Gandhinagar strongly believes in value addition through course work. There is a significant component of course work a PhD student needs to do depending on his/her background. PhD students entering the programme will have to take total credits ranging from 88 through 120, out of which coursework credits (courses worth 4 credits each in general) can range anywhere between 32 through 64 credits, depending upon the previous degree attained by the student. Out of the minimum credits through coursework, a minimum of 12 credits are required to be completed through 3 credit project-based courses. M.Tech., M.E, Two Years' M.PH. or M.Phil. Ph.D. programme is fully residential. The regular candidates will have to stay on campus. For candidates under Continuing Doctoral Programme, currently 2 years of residency requirement after completion of 1 year of advanced admission is followed. Over and above the monthly assistantship, an additional fellowship of Rs. 5,000/- per month may be provided to the candidates ranking within the top 5% in any relevant National level qualifying examination. A candidate can receive only one of the above mentioned two additional fellowships. Payment of assistantship is subject to a candidate complying with the prescribed norms/work output. IIT Gandhinagar has been quite successful in attracting some of the brightest minds in the country for our Ph.D. programmes. You can see the background of our existing Ph.D. students here. Chemistry Computational Chemistry, Molecular Dynamics; Medicinal Chemistry and Drug Discovery: Infectious diseases ( H pylori) and Cancer (Kinases); Anti-Inflammatory, anti-glaucoma and epilepsy; Chemical Biology of Cancer: Targetting DNA damaging mechanism involving Kinases, Chemical Biology of Nucleic Acids: DNA interacting dyes; Asymmetric Supramolecular catalysis / Asymmetric Organocatalysis; Synthesis of photoresponsive π-conjugated materials; Bio-inorganic chemistry, elctrochemistry, enzyme-inspired catalysts design, small molecule activation for renewable energy research; spectroscopy of gold nanoparticles, plasmon-enhanced spectroscopy; Bio-conjugates of porphyrins and Boron-dipyrromethene days for chemosensing and bio-imaging applications; Chemical crystallography, cryo crystallography of liquids, structural chemistry of drug like molecules, polymorphism of drugs. Civil Engineering Critical Infrastructure resilience, Complex System Modeling, and Physics Guided Data Sciences for Hydrology, Performance-based earthquake design of masonry and concrete structures, and non-structural components; Blast-resistant design; 3D Concrete printing;Analysis and design of structures under fire; Assessment of fire behaviour of green building envelopes; Multi-physics analysis of systems; Complex and Tall structures; Structural health monitoring; Constitutive modelling of frictional materials; Numerical Modelling of Geotechnical Structures; Earthquake Geotechnical Engineering; Liquefaction and Cyclic instability; Geotechnical behaviour of problem soils; Experimental studies on Strain Localization; Seismic hazard and ground motion characterization for Structural Design;High performance fibre reinforced concrete; Geosynthetics; Reinforced earth structures; Modelling of hydrologic extremes (droughts and floods); Real time flood/drought monitoring; Climate change impacts on water resources; Water resource management; Large scale hydrologic modelling; River engineering; Transients in pipes; Transients in open channels; Dam and levee breach; Urban drainage. Computer Science & Engineering Theoretical Computer Science, Algorithms, Computational Complexity, Game Theory, Data Mining, Social Networks, Data Science, Machine Learning, Computer Vision, Pattern Recognition, Computer Systems, High Performance Computing, Natural Language Processing, Computational Sustainability, Internet of Things (IoT). Earth Sciences Earth Surface Processes, River Science, Remote Sensing and GIS, Climate Change, Water Quality, Contaminant Transport in Freshwater System, Micro & Emerging pollutants, Hydrogeochemistry, Urban pollution and sustainability, Metal speciation and Remediation techniques; Seismology, Engineering Seimology, Seismic Hazard Analysis. 3. Fluid Mechanics - Low Reynolds Number Hydrodynamics; Transport in porous media; Reactive Mixing; Hydrodynamic Stability and Transition; Flow Control; Acoustics. 10. Manufacturing - Laser based manufacturing. Physics 1. Van der Waal's material based membranes for desalination. 2. Graphene laminates based nanofluidic channels for gas separation. 3. Theoretical High Energy Physics:Strongly interacting hot QCD matter.